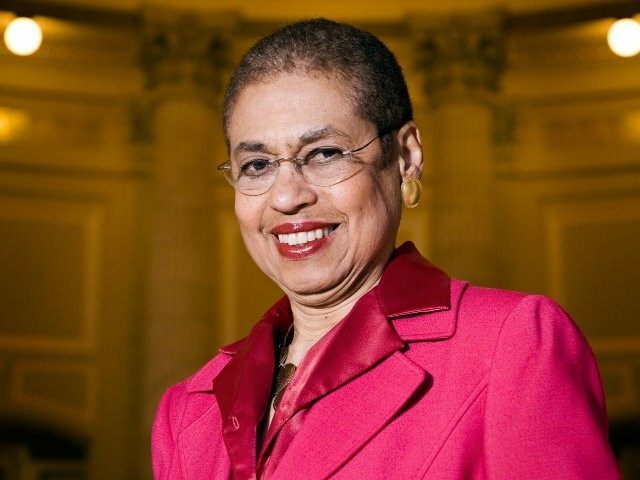 The 1 minute, 42-second long video shows [Eleanor Holmes] Norton getting out of her car once to walk away before turning around and coming back to give it another shot. But instead, she grabs something she appears to have forgotten (according to Roll Call) out of her car and walks away– leaving the terrible parking job in her rear view mirror, if you will. “If she leaves it like that, that’s the worst parking job I’ve ever witnessed,” one of the mystery guys behind the camera said. Speaking exclusively to FOX 5’s Tom Fitzgerald on Thursday, Norton said she was late for a TV interview, in an area where she doesn’t normally park, and wasn’t expecting construction or the six-point turn she would need to execute in order to park. “Don’t worry! I have signed up for parking lessons and I’m even thinking about upgrading to one of those self-parking cars,” said Norton.